The new LUXBEAM® 4700 DLP electronics drives forward the high performance features of the LUXBEAM 4600 formatter, utilizing the high speed DLP chip sets DLP9500, DLP9500UV and WUXGA and drives data transfer rates from a host system to new levels and also offers extended on-board RAM storage space (up to 120 GB). 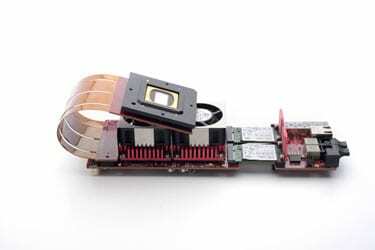 As with LB4600 the LUXBEAM 4700 electronics comes with the DMD mounted on a separate DMD board and connected with a flex cable. The board size is very compact and fits a footprint of 240 x 76 mm. It is the ultimate solution for extreme performance and high–speed industrial and emerging applications. The LUXBEAM 4700 also comes with VISITECH’s LUXWARE firmware which includes memory management, sequencing and I/O signaling. FW options such as image scrolling, motion control loop (e.g. for autofocus) and heat management are available upon request. The board includes a web-server providing a ready-to-use interface without any driver installation required. Communication with Visitech’s advanced LED driver is also available through the web server. Application areas: any ultimate high-end industrial and scientific application requiring high resolution, superior frame rates and single pixel control with maximum on-board storage and/or data transfer rates from host system.